This year’s West African Mining and Power Expo (WAMPEX) will feature a packed Indian Pavilion, with over twenty-five highly innovative companies, set to arrive in Ghana from the Asian powerhouse. The West African Mining and Power Exhibition (WAMPEX) and Conference 2014 is an international expo for suppliers of equipment, technology, services and consumables to West Africa’s rapidly growing power and mining sectors. 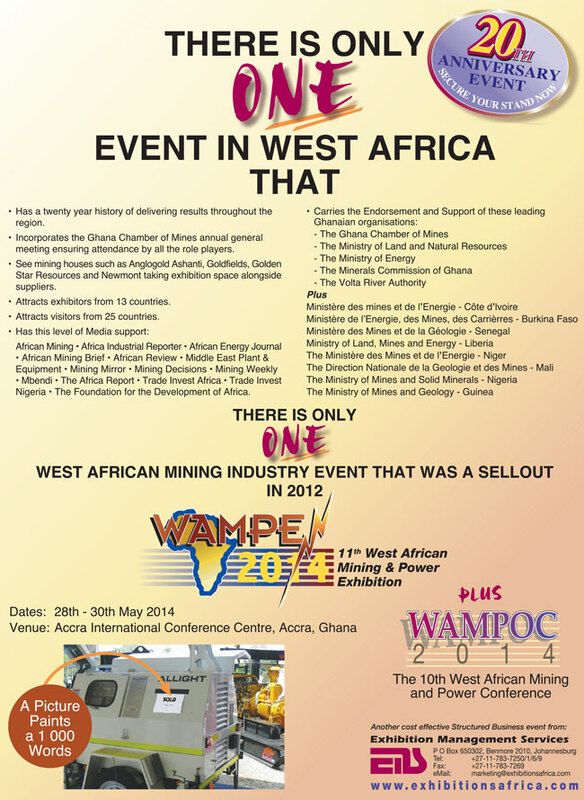 This, the 11th edition of WAMPEX – celebrating its 21st year, will take place at the Accra Convention Centre, Ghana, from 28 to 30 May 2014. The event is organised by Exhibition Management Services, in association with EPI Events and Projects International Limited. 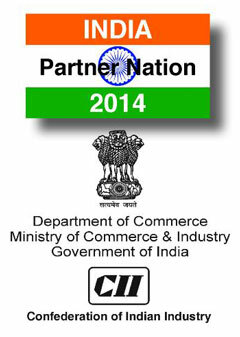 The participating Indian companies are eager to showcase their products to the West African power and mining sector. They will also be exploring the many opportunities available in this burgeoning region, from joint ventures and partnerships to distributorships. Muskaan Power Infrastructure Limited – manufacturer of power and electrical equipment, will exhibit its wide range of equipment, including a new range of LV breakers and isolators, at WAMPEX for the first time. The company hopes to identify prospective customers – engineering, procurement and construction contractors, and also opportunity to set up joint ventures with agents in Ghana. “We are looking forward to meeting the many industry visitors that will be attending this important exhibition, and to help them with their requirements,” says Ravi Mahajan, Director of Muskaan Power. Other equipment on their display include; distribution and power transformers, automatic voltage stabilisers and conductors. First-time exhibitor – Power Engineering (India) Pvt. Ltd. of the Pai Kane Group, is attending WAMPEX with plans to set up a dealer network in West Africa. The ISO9001, ISO14001 and OSHAS 18001 certified company, with more than 15 years of manufacturing experience, is a leading manufacturer of the Pai Kane brand of diesel generators sets, gas generators sets, lighting towers, electrical panels and compact substations. It exports products to a number of African countries, according to Senior Sales and Marketing Manager, Mr Raghavendra Ghosarwadkar. “We are continuously expanding our business activities, and plan to focus on Africa this year. WAMPEX is the most effective platform for us, offering many advantages and opportunities to promote our excellent products in the West African region,” says Ghosarwadkar. Gupta Power Infrastructure is a well-known manufacturer of overhead conductors and cables, including HT-LT power cables – up to 132 kV, instrumentation cables and mining cables. The company recently launched a range of household wire cabling, named Rhino wires and cables, which is flame retardant and heat resistant. The company plans to showcase its technology and products to potential new customers at WAMPEX. Kuvawala Core Drill Equipment manufactures diamond-tip drilling equipment, and will showcase its full range of in-hole drilling tools and accessories for both wireline and conventional drilling at this year’s WAMPEX show. The products are used extensively in mineral exploration drilling, soil investigation and geotechnical drilling applications. The company will show off its new KCDE 200 surface core drilling rig, ideal for soil investigation and geotechnical wireline drilling. It recently secured a large order for 10, 000 wireline drill rods from the Singerani Colliery in India.